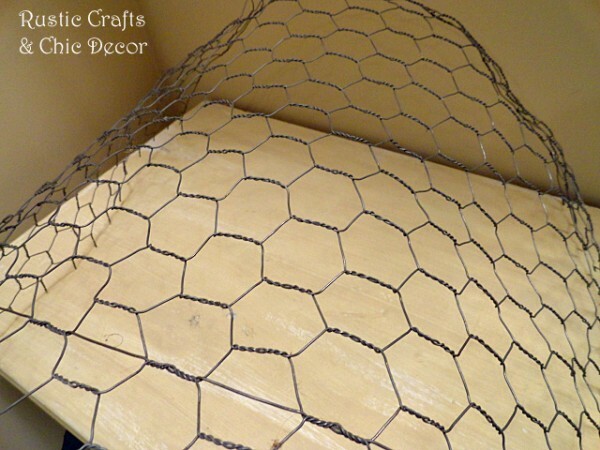 Chicken wire isn’t just for chickens! It can be used to make so many things. One such thing is a rustic wire basket. 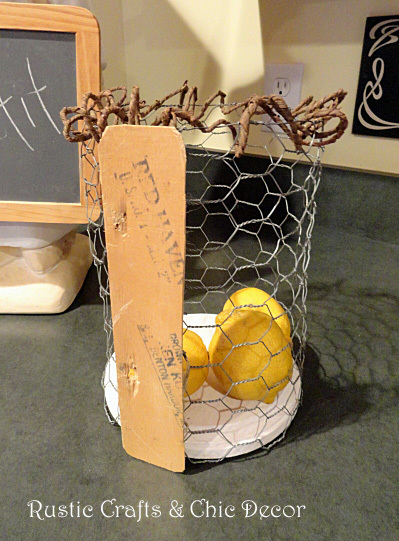 This DIY chicken wire basket is super easy to make and makes a great accent for a rustic kitchen. You can usually find chicken wire in the fencing section of stores like Home Depot, Lowes and Walmart. I have even seen it at Michaels. 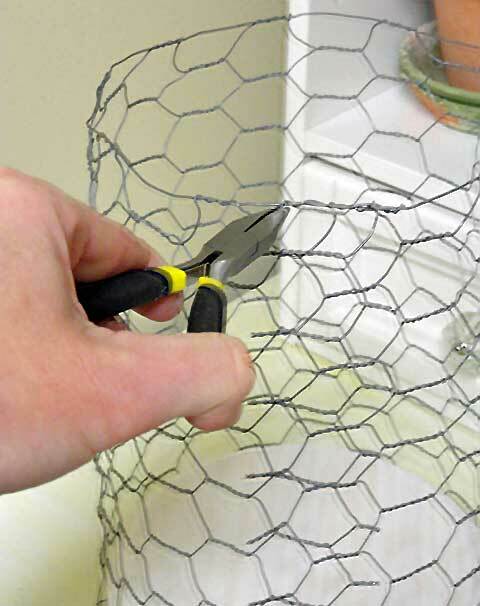 Use a tin snips to cut enough chicken wire fencing to make a cylinder in the size you want your basket. Trim the length of the fencing to the height of your desired basket height plus one inch. Once trimmed, bend the bottom of the fencing in toward you about an inch. The bent part will end up going underneath the wood piece to hold it in place. I painted my basket bottom with white acrylic paint but you can paint it any color that works for you. If you want to seal the wood, spray on some matte or gloss polyurethane. Before I glued the wire to the bottom of the wood, I first wrapped the cylinder all the way around and began to secure the sides together by twisting the chicken wire ends together in a couple of key spots. Once I had the chicken wire fairly secure, I glued the bent in wire to the bottom of the wood piece. I like E6000 craft glue but any good tacky glue should work. When the glue is dry, glue your felt piece to the bottom to cover up the wire. This also keeps the basket bottom from scratching any surfaces. Finish twisting the wire together at your cylinder seam. 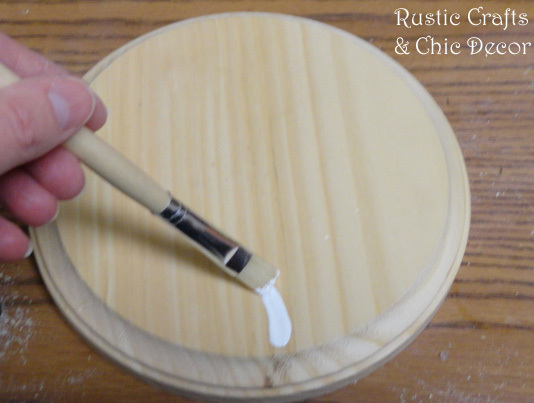 Use a thin length of wood, a ruler, or a section of a bushel basket to glue onto the seam area. I had an old bushel basket that I just cut a section from. You can either leave the top of the basket plain or loop some barked covered wire around it like I did. I varied the sizes of my loops. Isn’t it fun to make your own rustic decor! Cut idea. Like that you can still get the benefit of seeing the colors inside. Thanks! I’m glad you like it Linda Rae. It makes a great alternative to glass and without the fragility!